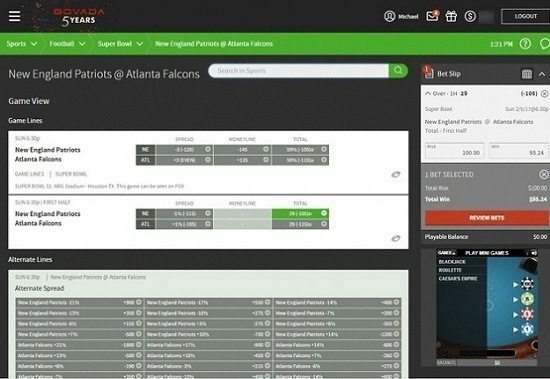 Bettors in the United States have to look hard to find an online bookie that’s reputable and prepared to accept their action. Fortunately, Bovada fits the bill nicely. It has been around for five years, having inherited the U.S. customer database of Bodog, and proclaims that it has processed more than 280 million sports wagers since that time. Click and visit Bovada.lv now. Speedy payouts and an upstanding history of fair dealing are just a couple of the reasons why Bovada is one of the leading sportsbetting organizations around. Keep on reading to learn more about the advantages of creating your Bovada account today. New clients at Bovada can claim a 50% up to $250 welcome bonus without having to input any bonus code. Deposit $500 or more to max out the value you get from this offer. You can double this promo by depositing with bitcoin and using the code BVSBITCOIN50 to claim a 50% up to $500 welcome bonus. Fund your account with $1,000 worth of Bitcoin to obtain the highest possible bonus. Choose the single bonus that you think is best for your needs. This promo is only available on your first ever deposit, so you cannot claim the other bonus on a subsequent deposit. If you fail to take advantage of one of these offers at the appropriate time, you will be forfeiting them forever. To get your free money, log into your account and go to your Bonus Page. You’ll see a list of all available bonuses. Choose the standard sports welcome offer from among the various bonuses available, or enter the code BVSBITCOIN50 if you intend to place money into your balance with Bitcoin. Make your deposit, and your bonus will be credited to your account within 30 minutes! The bonus funds that you can get from this promotion are fully cashable, but you must meet certain wagering obligations first. Any payout requests made before the applicable betting total is reached will result in the cancellation of the bonus and any winnings derived from it. You’ll have to bet through the sum of your deposit and bonus 5x before the bonus moneys become truly yours. You can place any wagers at any odds on any contest you find in the sportsbook or the racebook to complete this condition. It’s also possible to clear this bonus in the casino, but your playthrough requirements jump to 30x deposit + bonus if you should choose to do so. 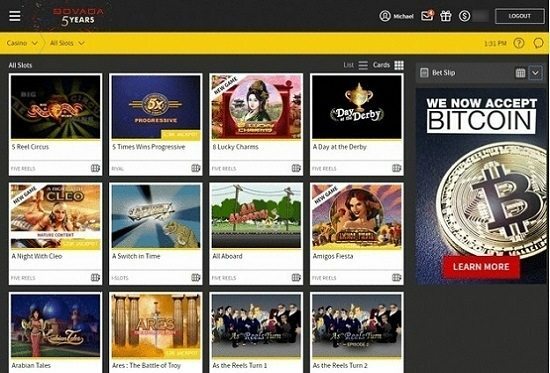 If you fund your account to the tune of $1,000 worth of Bitcoin and collect the maximum possible $500 bonus, then you’ll have to turn over ($1,000 + $500) * 5 = $7,500 in the sportsbook or on the horses. When it comes to determining how much a given bet will count towards clearing your bonus, there are two key numbers: the amount you put at risk and the amount you stand to win. For all winning bets, your wagering sum will be deemed to be the lesser of these two figures. In the event that your ticket is graded a loser, it’s the amount you risked that will be added onto your betting totals. If you win the first wager, then your rollover contribution will increase by only the $100 win amount. In the second example, your winning results will cause the $110 risk amount to contribute toward your playthrough. In the event that you should lose either bet, it’s the $110 risk amount that counts. Bovada issues every member a special referral link that they can share with friends and family. Whenever someone clicks on your link and makes a deposit, you’ll get a one-time bonus of 200% of the value of their deposit up to a maximum of $100. These funds come with a wagering requirement of 5x in the sportsbook or racebook and 30x in the casino. If you want a break from betting on sports, then you’ll be glad to know that the Bovada Casino has more than 200 titles for you to enjoy. Try to get 21 at the blackjack tables, take a chance on your lucky numbers at the roulette wheel or attempt to hit a winning combination at the slot machines. You can claim up to $7,500 in casino welcome bonuses followed by weekly reloads and other desirable promotions. Those using Visa or MasterCard can put between $20 and $1,000 into their accounts at any one time. Your first deposit is free of additional charges, but subsequent deposits will incur a 4.9% fee on Visa transactions and 6.9% for MasterCard. You can avoid these fees by opting to conduct all your cashier functions using Bitcoin, which has very tiny miners’ fees but no fees charged by Bovada itself. When it’s time to make a withdrawal of your winnings, you can do so free of charge by check once per month. Any additional payouts during the same month will each incur a $50 fee. Once again, you can spare yourself from this extra expense by using Bitcoin. Bovada concentrates on U.S. sports, like football, basketball and baseball, but you’ll also find events listed for popular global sports, such as soccer, cricket and tennis. You can bet on occurrences that aren’t strictly related to athletics too, including DOTA 2 matches and reality TV results. Low-rollers will be pleased to see that the minimum bet at Bovada is just $1. On the other end of the scale, max bet limits for Moneyline/Spread/Total wagers on the major sports range from $500 to $2,000. More obscure betting options and events that aren’t typically of interest to the average American bettor tend to have have lower maximums, often less than $500. Bovada isn’t really considered one of the best organizations for making accurate lines. This is because the firm focuses on a recreational audience, so it caters to what the public at large is doing as opposed to what pro bettors think. Consequently, you might be able to find some lines at Bovada, particularly on underdogs, that are more attractive than what other bookies are offering. Bovada also posts its lines much later than other sportsbetting sites because the bulk of its custom comes from amateurs who make their selections just before the game starts. If you take advantage of these profitable situations too often, then Bovada may classify your account as “sharp.” This doesn’t mean you’ll be subject to any punitive action or seizure of funds – Bovada comports itself scrupulously honestly. It just indicates that the site will begin serving you a separate set of odds that are more in accordance with what other bookmakers’ lines are like. If you’ve made your selections pre-game and then think that there’s nothing left to do but cheer for your favorites, then you’re not quite up to speed with what Bovada has to offer. Through the Live Betting interface, you can actually place wagers after the contest has begun. Live Betting features lines that change rapidly in response to game events as they unfold. This means that you’ll have to stay on your toes to identify profitable opportunities before they disappear. Fortunately, the Quick Bet mode lets you predefine a wager amount and then place bets in that amount with a single click. Fans of the ponies are able to get their action in at the Bovada Racebook. 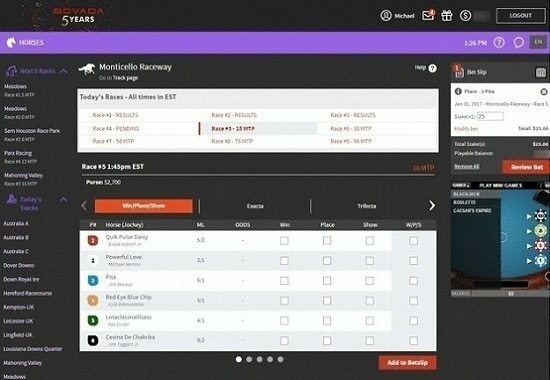 Covering 94 tracks in the United States and several dozen more in the United Kingdom and Ireland, the Horses section of the Bovada site includes thoroughbred, harness and quarter horse racing. Make your straight wagers, or get fancy with longshot exotic bets. Bovada pays full track odds, and because the site doesn’t have the overhead expenses that come from running a track, it can afford to provide all bettors with a weekly rebate. Every Tuesday, you’ll get a 3% rebate on all the straight wagers you made during the previous week and 5% on all exotics placed during the same timeframe. You only have to roll over the amount of your rebate a single time before it becomes unrestricted. The Bovada web pages use responsive design features. This means that they automatically rescale and reposition elements so as to work well no matter what the user’s screen size is. 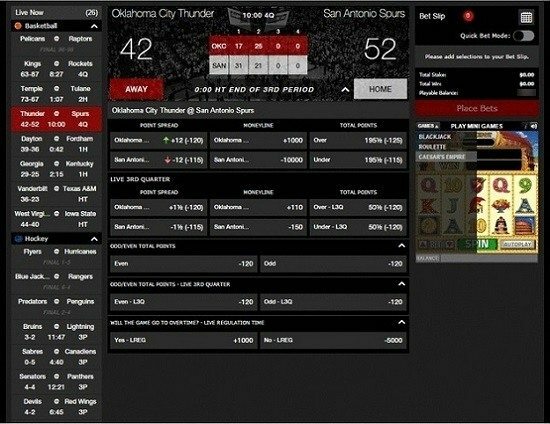 Bovada is therefore an ideal solution for betting using your smartphone, tablet, laptop or almost any other type of computer. 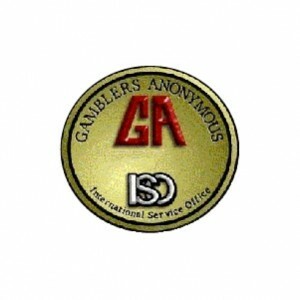 This is true not only for the sportsbook but also for the casino games. Oddly, the racebook isn’t compatible with mobile phones although the company states that tablets in landscape mode work fine. Bovada was spun off of Bodog specifically to serve the U.S. market, so it accepts players from almost every state. However, those residing in Maryland, Nevada, New York, New Jersey and Delaware are out of luck because new sign-ups are closed from those five states. Receive up to $500 in cashable bonus money! Read our review of the Bovada Casino here.